Turkey Day is One Week Away! 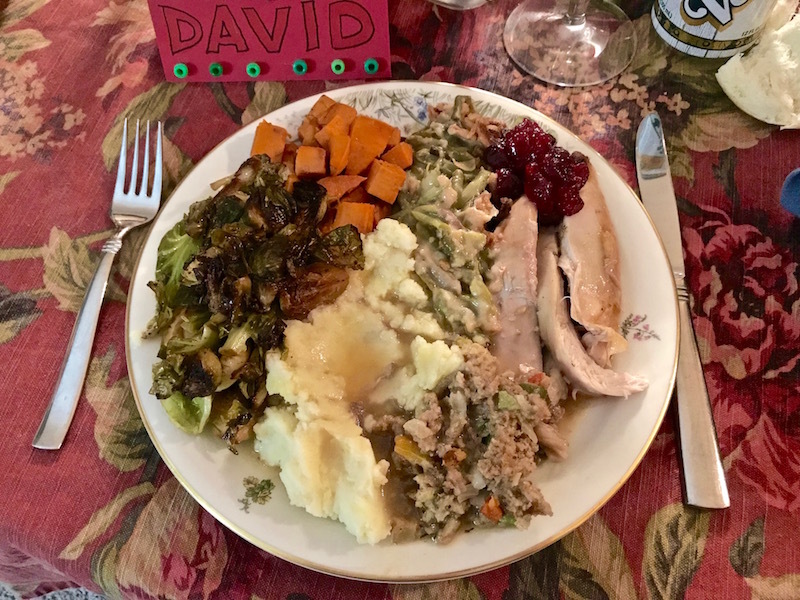 Take My Four-Step THANKSGIVING PLEDGE and Commit to Sensible Eating During The Year’s Biggest Food Holiday | Keep It Up, David! One week to Thanksgiving! 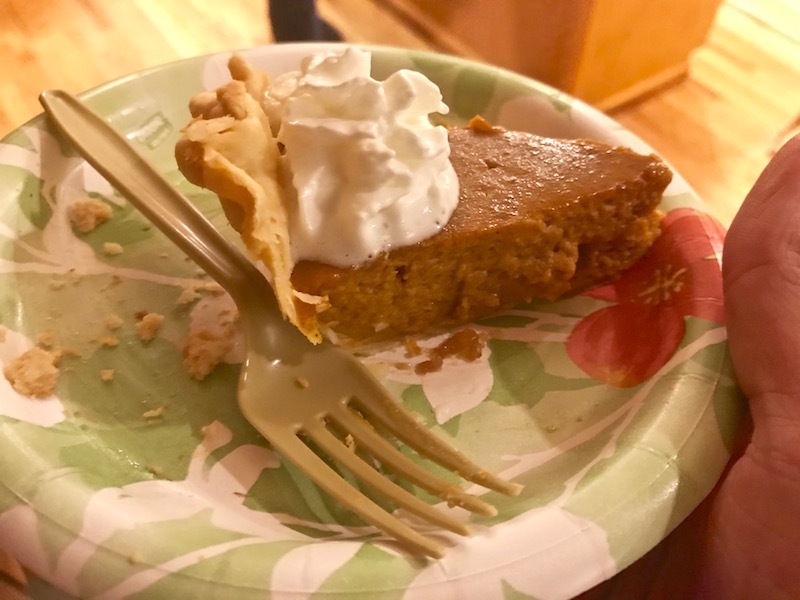 This is my 9th year taking my Thanksgiving Pledge, which allows me to enjoy whatever I want on Thanksgiving, without feeling terrible the next day or completely abandoning my healthy living efforts. I encourage you to take the pledge, too! Thanksgiving is practically synonymous with overeating, but it doesn’t have to be. I work way too hard on my weight loss maintenance (160 pounds lost and kept off since 2010) to abandon it all in a turkey and gravy free-for-all. So I created my Thanksgiving Pledge. It’s my way to get through Thanksgiving, enjoy everything I want, not feel guilty, and not open the floodgates for a month-long binge of poor choices. I created the pledge in 2010, and I’ve taken it every year since (2011, 2012, 2013, 2014, 2015, 2016, and 2017. It really works! Rule #3: I will not get seconds. I will indulge in a reasonable portion of anything I want, and I will enjoy it, but I will not go back for more. This includes dessert. 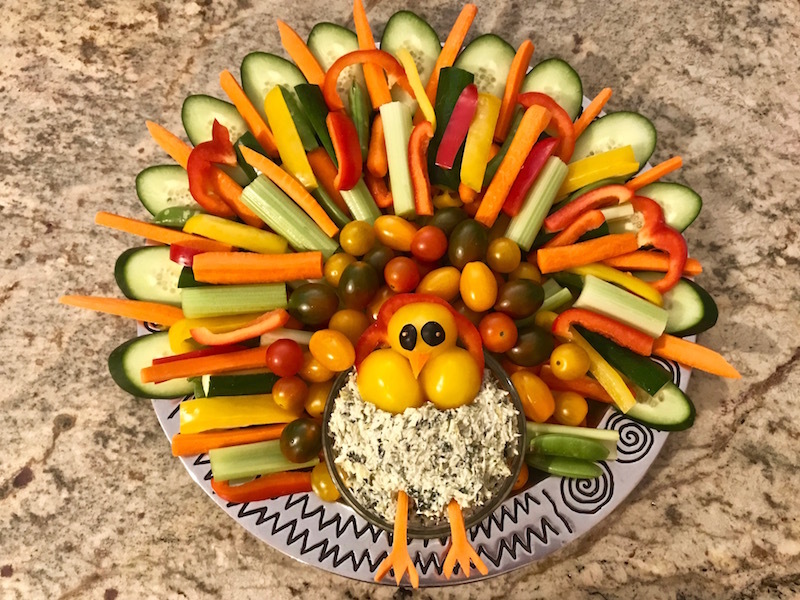 Rule #4: I will not graze or pick at food as it is prepared, emerges from the oven, or gets transferred to serving platters or leftover containers. I must place all food that I intend to eat on a plate, and eat it at the table. Here are some additional tips, because some of these rules aren’t easy. Get your exercise over with in the morning. Schedule it into your day if you have to. It will be harder to do once family and friends arrive, or you arrive somewhere else, and you won’t want to do it after dinner, that’s for sure! Rule #4 can be the hardest, because Thanksgiving dinner takes hours and hours to prepare. So chew gum if you have to, or pop a breath mint. Keep a bag of baby carrots nearby, so if you’re feeling peckish, you can munch on something healthy. If you break a rule, don’t sweat it – just get back on track. I’ve broken a rule or two in minor ways, and I don’t beat myself up. The main idea is that this pledge provides a strategy, and I need that, because otherwise, it can be a free-for-all for my mouth and my fork, and I want to enjoy the holiday – and the long weekend that follows – without regret. I hope you take the pledge – and drop a line in the comments section if you modify it to suit your situation… your modification may help others! I’ll share my Thanksgiving photos after the big day. Let me know how it goes for you! This entry was posted on Thursday, November 15th, 2018 at 10:08 am and is filed under Uncategorized. You can follow any responses to this entry through the RSS 2.0 feed. You can leave a response, or trackback from your own site. I live your rules and I’m soooo taking the pledge!!!! I’ll be writing about it and linking you in my next blog post!!!!! I think this is my 7 year (8th year food sober) that I’ve enjoyed your challenge. Looking forward to walking today before I see my family, playing pokemon, walking with my family and of course, remaining food sober. Onward. Happy Thanksgiving to you and yours. Replacing turkey with beef brisket. 🙂 I invited my blog readers to do your challenge. Hope they do. Great thanksgiving!!! Fun, healthy and happy!!! I also took the loophole ‘well I didn’t have it before and had some veggie dip…and I also grazed on some raw veggies’. A victory for both of us!! !